I soured the Internet and my favorite sites looking for some well rated and reviewed recipes. I tried 4 different recipes and they all fell flat! It was terrible! I’m not sure if it’s the altitude, or what but it was a nightmare. Luckily the last try didn’t fall too badly and it was usable. I carved the face, and was really pleased with how great it turned out! I don’t normally do cupcakes, and while they are very time consuming, it was a fun change. But I’m glad I got to do a cake too. Cakes are just SO much fun to do and it really MADE the cupcakes. I enjoyed it! And it was great to get back into cake making. Things have been really slow since the move, so if your in UT give me a call! I really miss it! Thank you so much! It’s always nice to hear such sweet words! Wow…I wish you lived closer to us. Our son’s nursery is a mario theme and we are doing his 1st birthday in Mario. 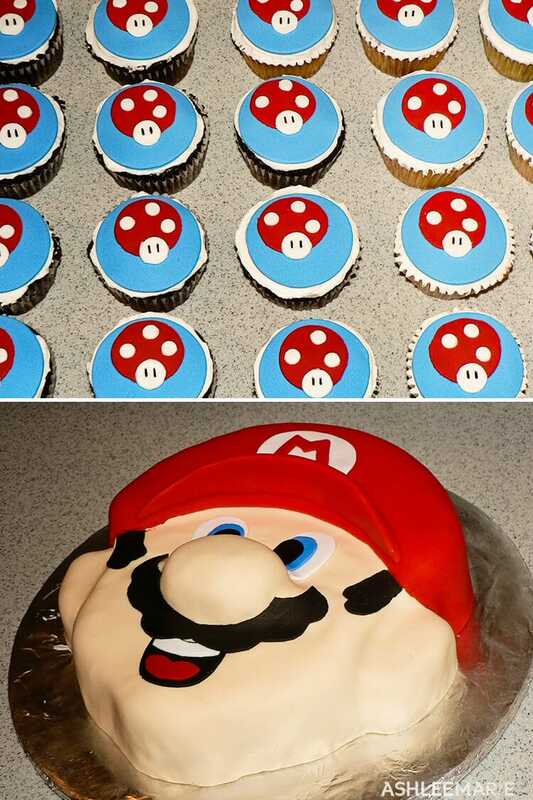 Love the cake and cupcakes and trying to figure out how I can get something like this for his party. 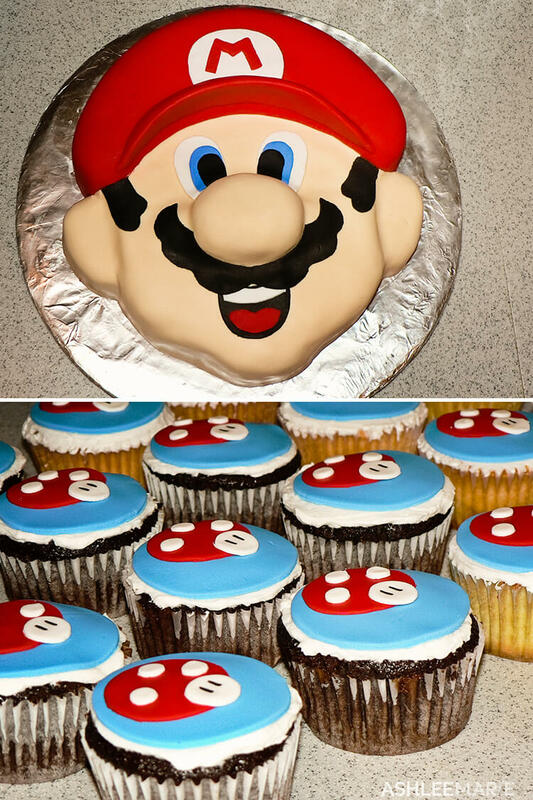 Most of the commercial bakeries won’t do this stuff due to copyright or whatever. Loved seeing the inspiration here though, so thank you for sharing! yes, commercial bakers have to be VERY careful what they do copyright wise. I’m not big enough for them to come after, but if I was I’d have to be more careful too. These companies can really hurt a business when they decide your infringing on them. so it’s wise to be cautious, that said it’s a big bummer for us mom’s who just want cute cakes for our kids!